(MISSISSAUGA) — Subaru Canada, Inc. (SCI) is pleased to announce that the 2017 Subaru Impreza has been named to Wards 10 Best Interiors list for the first time ever, for an interior that is both beautiful and functional. Published by the respected automotive industry website WardsAuto, the 7th annual competition recognizes outstanding achievement in aesthetics, comfort, ergonomics, materials usage, fit-and-finish and user-friendly electronics. There is no price cap and the nominees consist of interiors that are all-new or have been significantly improved from the prior year. This year, 31 interiors were eligible for the awards, and Subaru earned a place beside such luxury brands as Alfa Romeo, Bentley and Maserati, as well as more standard carmakers like Honda and Mazda. Citing a level of interior excellence never seen in a Japanese brand, Wards also recognized the new styling language that follows Subaru’s “Dynamic x Solid” philosophy. By creating a bold and refined theme with continuous form throughout the cabin, Subaru cleared the way for Wards to recognize the ergonomically placed buttons, well-bolstered seats and soft surfaces. The innovative design direction is further emphasized by a clean, intuitive centre stack with multifunction display, centre air vents, updated multimedia system and climate control. 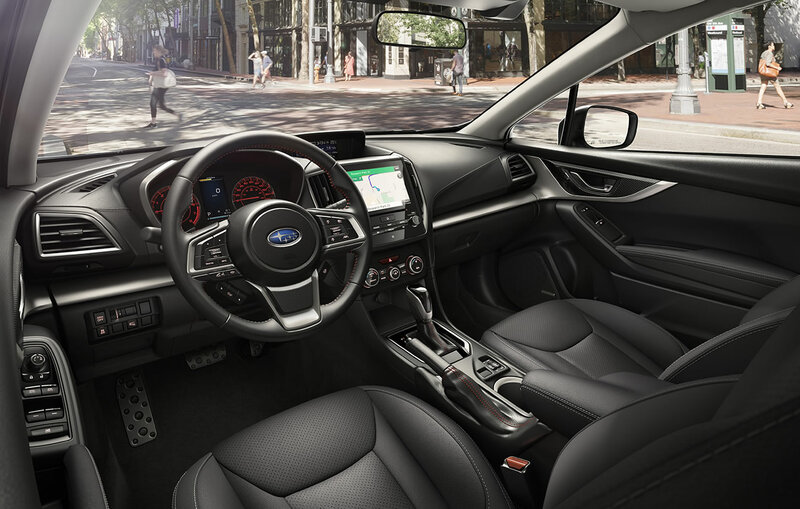 In addition to an award-winning interior design, the Impreza has the most passenger volume in its class. The 2017 Impreza is also the only small car to earn top ratings in all Insurance Institute for Highway Safety (IIHS) evaluations and, when equipped with EyeSight Driver Assist Technology and steering-responsive headlights, it is an IIHS 2017 TOP SAFETY PICK+. The new Impreza is offered in four trim levels: Convenience, Touring, Sport and Sport-tech, with pricing beginning at just $19,995. About WardsAuto WardsAuto is a world-leading provider of automotive insights and analysis, having served the industry’s information needs for more than 90 years. A Southfield, MI-based division of Penton, WardsAuto provides a forward-looking perspective on all aspects of the automotive business, from the tech centre to the plant floor to the showroom. Its services include the premium WardsAuto.com resource and suite of customizable data reporting tools, the WardsAuto Interiors and WardsAuto Outlook Conferences, and digital newsletters and magazines. Subscribe to WardsAuto and attend its events by visiting http://www.wardsauto.com. Follow WardsAuto on Facebook and Twitter @WardsAuto.